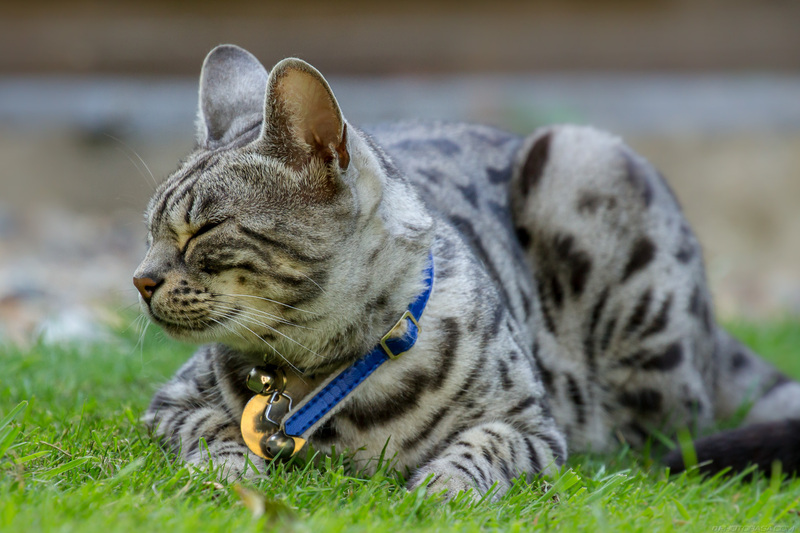 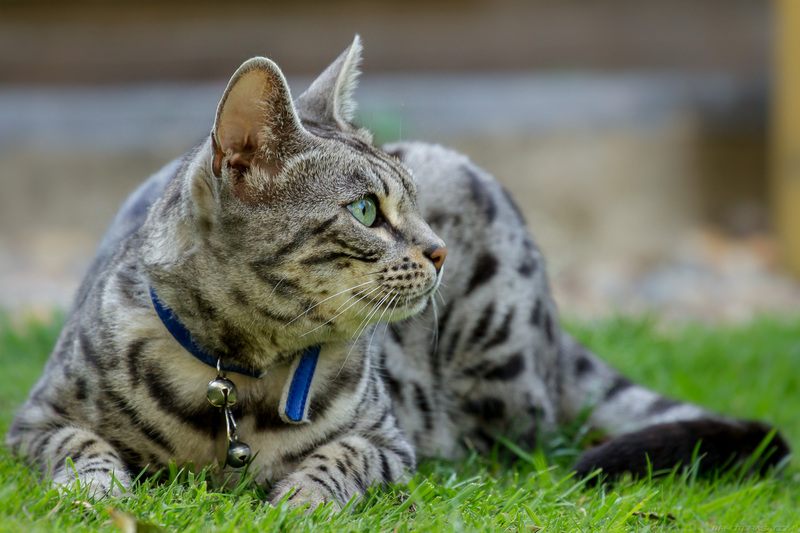 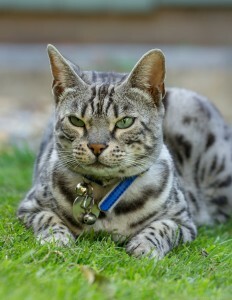 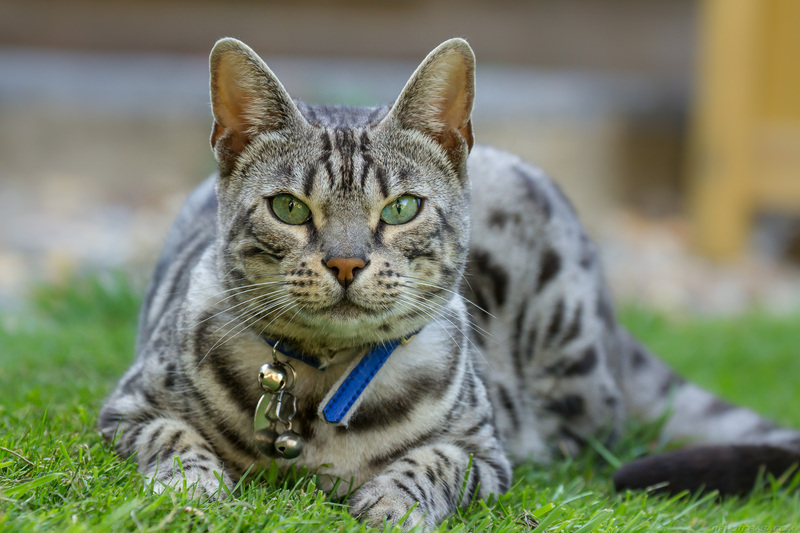 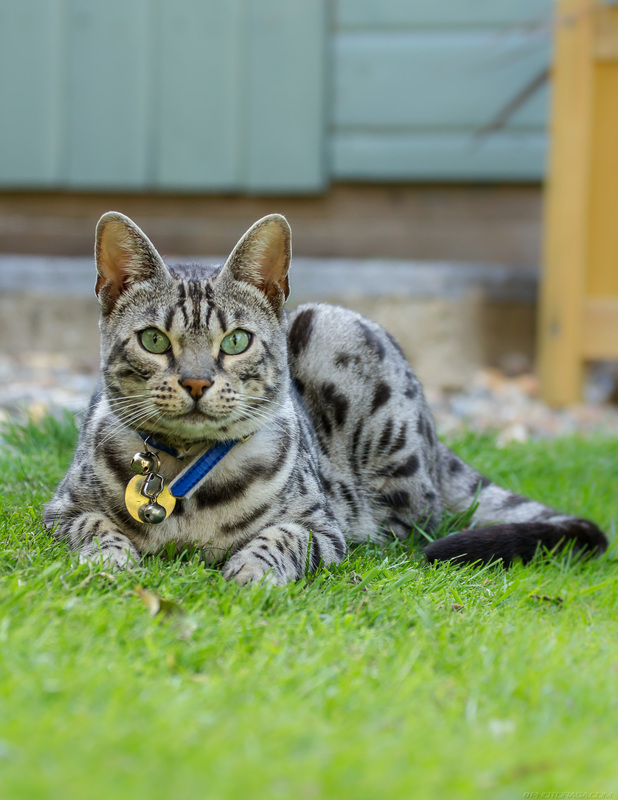 A beautiful spotter silver tabby cat, obviously with some pedigree in his genes given the strong face and markings. 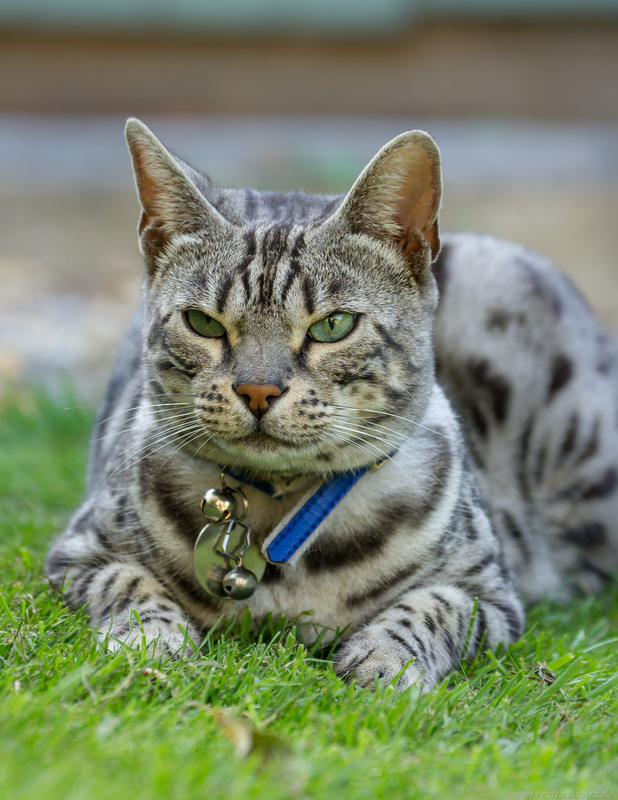 His appearance shows strong links to the bengal tiger cat, which i thought he was at first. 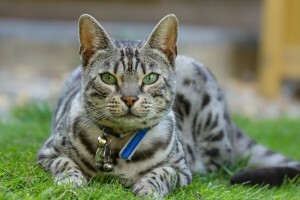 Having had a good look at his markings and consulted the internet, however, I’ve discovered he’s just a very nice looking tabby cat. 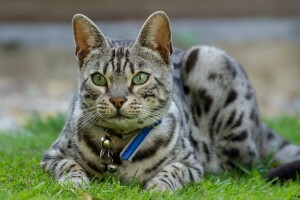 The clear and distinctive M marking on his forehead shows a strong tabby breed. What initially made me think he was a bengal were his spotted markings. 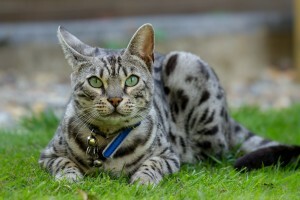 Having consulted a bengal tiger cat guru , however, it turns out i was wrong. 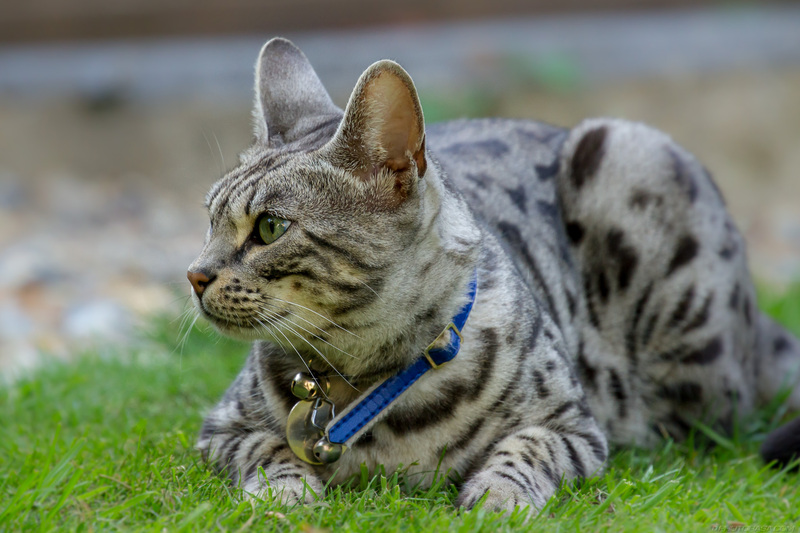 Bengals have distinctive spots known as “rosettes.” These are large and dual coloured with a second colour around the edge of each spot. Our silver tabby friend here only has single colour black spots. 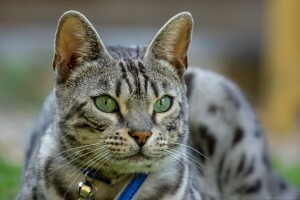 His fur is also “ticked” where each hair is made up of more than one colour, known as “agouti”, as opposed to bengals that have hairs of one colour only. The silver tabby is one of a variety of cat colours. The tabby is a reference to the markings and not the breed of cat – many different breeds such as British Shorthairs have recognised tabby varieties. The name “tabby” is thought to derive from “atabi” the persian word for a type of silk spun near Baghdad many years ago. 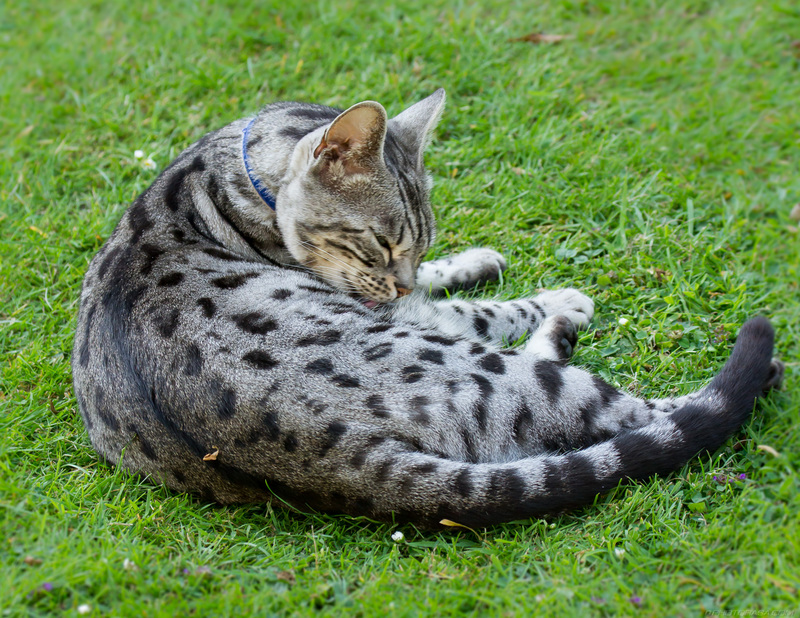 The silk was exported to the British Isles and people noticed its pattern was similar to some of the local cats.